Secure single & multi-point locks that meet USPS lock requirements with Securitech’s post office lock solutions. USPSTL-FA-200 has been designed to meet the special locking and durability needs of the US Postal Service. 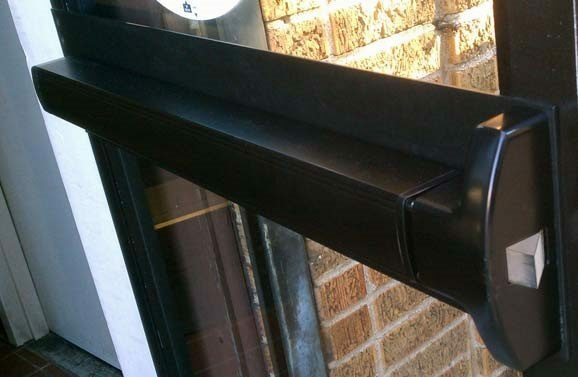 The exit device features electric latch retraction for unmanned automatic unlocking and locking of the door. A field programmable timer, secured in a locked enclosure, is used to create time zones, programmable by day of the week. Life-safety codes are respected via the single motion panic bar which is operable at all times, even if a customer is within the station when the door automatically locks. Exiting is always possible. Entry is possible by key during locked periods.